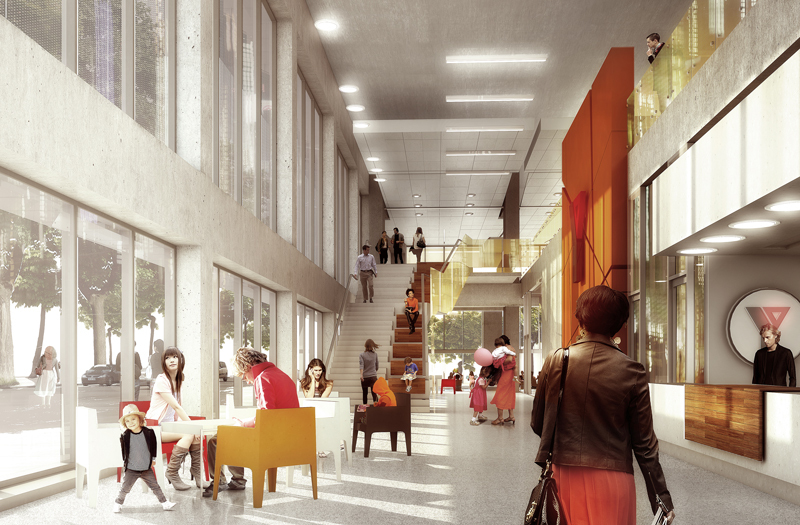 George Brown College’s Waterfront Campus is expanding to include an exciting new facility in the Daniels Waterfront – City of the Arts development that will house several School of Design programs and a research hub. 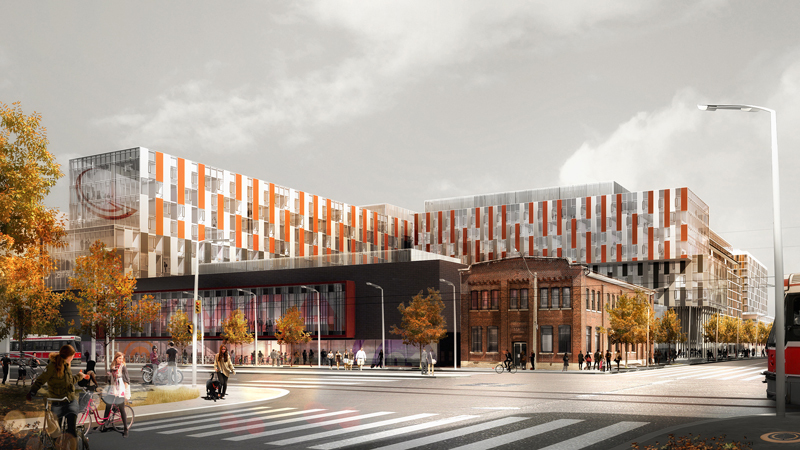 Toronto-based firm, MacLennan Jaunkalns Miller Architects (MJMA), is part of a large integrated team responsible for the recreation centre and training facility that will form part of Toronto’s 2015 Pan Am Games Athlete’s Village. 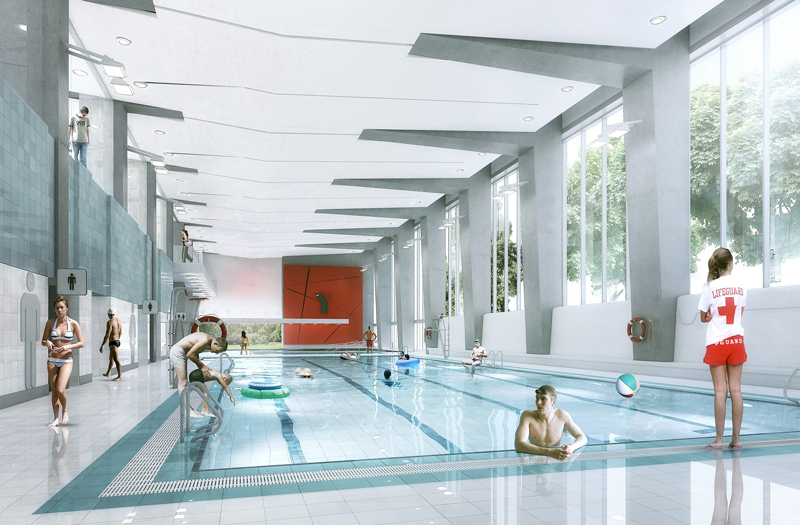 The program includes a sports medicine clinic, fitness centre, pool, and ancillary athletic and wellness facilities. The building design balances the diverse needs of the Games and the legacy recreation needs of the community, after the games. Through human-scaled, pedestrian friendly, user-centric civic gestures, the design of the YMCA facility supports the West Don Lands Precinct Plan and contributes to the urban vision of the Pan Am Athletes Village for a sustainable, vibrant, mixed-use community. The YMCA is operationally distinct but cohesively integrated on the site with the George Brown Student Housing (GBSH) complex. In collaboration with architectsAlliance and KPMB Architects.